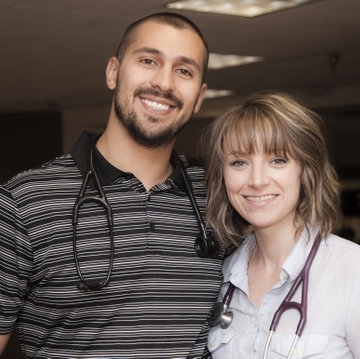 Thanks to medical school mentorship program, couple plans to practice in eastern New Mexico. When opportunity knocks, Brian Lopez opens the door. That’s what the third-year University of New Mexico medical school student did when he learned of a special UNM program aimed at recruiting high-achieving New Mexico high school seniors. 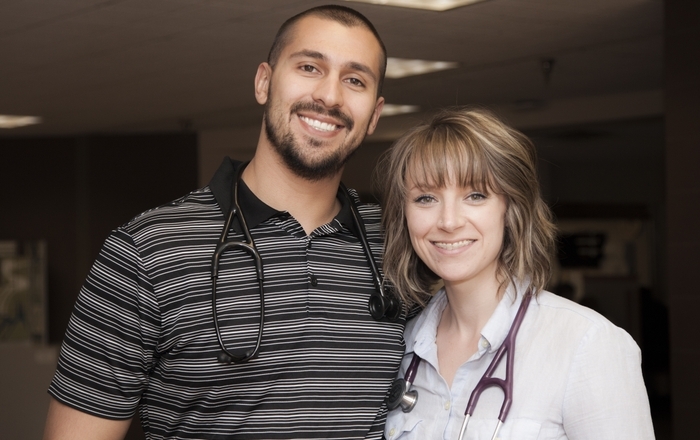 Now Lopez and his fiancee, Cassie Bailey, also in her third year at UNM’s School of Medicine, are forging a path through another door of opportunity – one they hope will lead to their own family medicine clinic in rural New Mexico. A native of Tucumcari in Eastern New Mexico, Lopez is a product of UNM’s BA/MD program, an ambitious partnership between UNM’s College of Arts and Sciences and School of Medicine that cultivates physicians in New Mexico’s smaller towns and communities. In its seventh year, the BA/MD program recruits talented New Mexico high school seniors from across the state who show proclivity and passion for the health sciences. 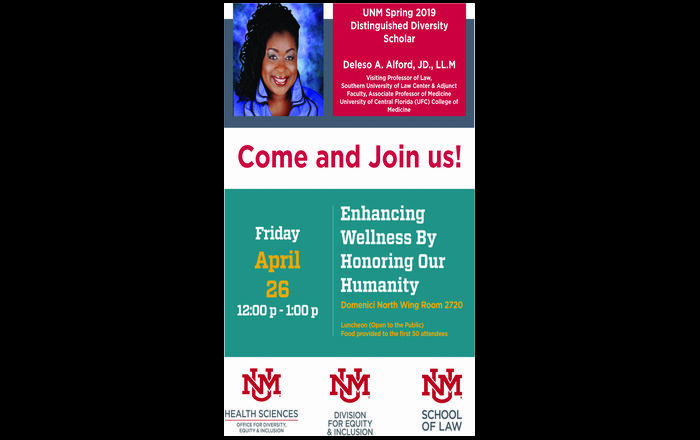 Qualified students are automatically accepted into UNM’s School of Medicine in their freshman year at UNM, provided they are able to adhere to rigorous academic standards through their undergraduate stay. The goal is to train physicians that will practice in New Mexico’s rural and underserved communities, where they are sorely needed. Lopez and Bailey, who began dating in their first year of medical school, chose Santa Rosa for their preceptorships because the local physician, Dr. Randy Brown, was a family friend of Lopez’s. This so-called Practical Immersion Experience (PIE) is an eight-week clinical program that places students in rural community clinics. Administered through UNM’s School of Medicine, the PIE enables medical students early in their graduate education to care for patients while developing a community health project. Through this experience, they learn and experience the lifestyle and business operations of a community physician. Ironically, Brown was a UNM medical student decades earlier and returned home after medical school, although that was not his intent. He suspected Lopez - whose hometown of Tucumcari is just 60 miles east of Santa Rosa - might feel the same and encouraged him and Bailey both to give the Santa Rosa Medical Clinical a try. Although Lopez had a pretty good notion of what he was in for, his future fiancee Bailey didn’t. The Woodstock, N.Y., native moved to New Mexico to be with her mother after undergraduate work at Binghamton University. Lopez and Bailey so enjoyed the experience that they requested Brown’s clinic again for their third-year family medicine clerkship, which ended in February. “Through these School of Medicine programs, I’ve entered into something that I had no idea would be so much fun,” Bailey says. And the bigger picture for Bailey is that she can develop her practice into whatever she wants. 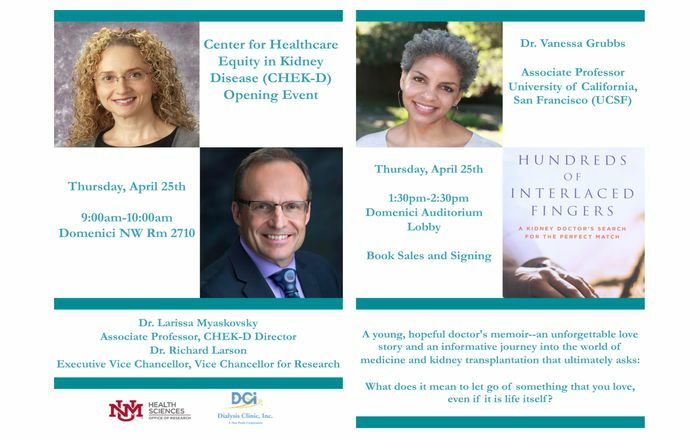 Through her medical school experiences she realizes that she can focus on health issues she finds particularly compelling, like women’s health and pediatrics, as well as chronic diseases, like heart disease and cancer. Bailey confesses that before her experience in Santa Rosa, she didn’t pay a lot of attention to small-town medicine. 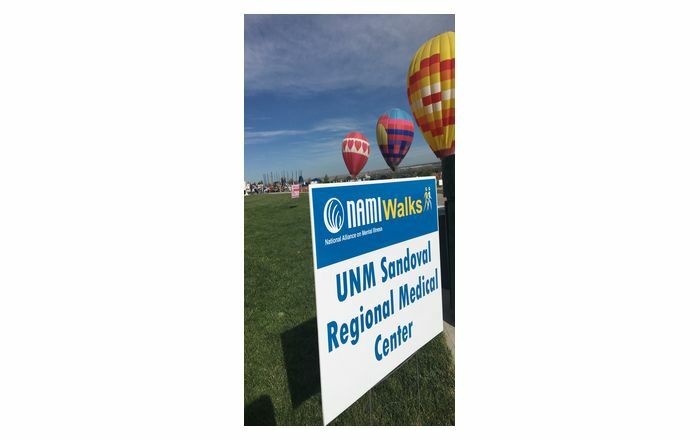 For communities like Santa Rosa, UNM mentorship programs mean better access to healthcare, says Brown, who has been able to recruit nurse practitioners, physician assistants and doctors to his own clinic. Already they’re able to put folks at ease, and the community thinks of them as its doctors, he adds. Meanwhile they’re becoming more confident in their knowledge base, while expanding their experiences and learning more about their patients. It’s a challenge that Lopez and Bailey hope will open a new door of opportunity in eastern New Mexico; one that will mean greater access to healthcare and contribute to a strong community.